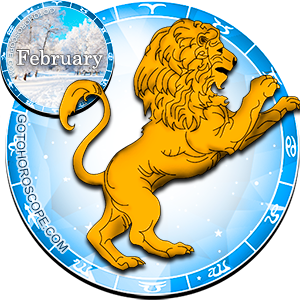 February 2012 Horoscope Leo, free Monthly Horoscope for February 2012 and Leo Astrology Forecast for the month ahead. Until mid-month you should focus much of your energy on maintaining or regaining your physical well-being. You may not even realize it, but you must attend to the needs of your body during the first two weeks of the month if you hope to be able to take pleasure from the good things coming to you in the latter weeks. You are still in a period of romance and social activism which will last until the 19th or so. Then your 8th house comes to the forefront, causing your libido to go a bit crazy. You'll need to keep a close watch on yourself to avoid becoming sexually overactive, regardless of your age or stage of life. Whether this is a good or bad thing depends a great deal on your own personal situation and lifestyle. Your spouse or partner may be entering a financially strong time right now and that person is likely to be more generous than he or she has been in the past. Your own financial upswing is coming sometime after the 14th and will only add to the overall family income. Spousal support (both emotional and financial) is instrumental to your success at this time. 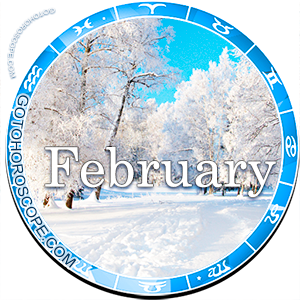 This is a good month to clear the decks, both physically and spiritually, and get back in touch with the things in life you consider truly important. Every sphere of your life is in need of some level of renewal at this time and there's no time like the present to tackle this project. There's no need to become completely Zen about things, but chances are you've accumulated more property and possessions than you can truly appreciate or effectively manage. This is your chance to get rid of some of these superfluous belongings that act only as anchors on your otherwise free spirit. Avoid careless or wasteful spending. This also is the time to move ahead with any ideas you've had for great projects. You'll find you can easily attract the investors you need to get things off the ground. This holds especially true for any sort of insurance or real estate transactions; whatever you're planning, you'll find it goes much more smoothly than you had anticipated it might. You will find it easy to pay off existing depts. or loans now, if you set your mind to it. You will achieve greater progress than usual with regard to all financial matters. These practical improvements are important to your overall well-being, but in the end, they take a backseat to issues which are much more profound. You are about to enter a time of personal rebirth and transformation, what many call "self-realization." After a lifetime of struggle, you are about to witness the beginning of the rebirth of your best self, the "you" you have always strived to be. Like a butterfly from a chrysalis, you will emerge a better, happier person, able to achieve things which had previously seemed elusive to you, even under the best of circumstances. You have more energy, more enthusiasm, and a quicker, more nimble mind now, capable of seeing and achieving almost anything that you set your will to. Use caution when becoming entangled in any legal issues, particularly those involving property.